The new French and Godbold packaging stamps arrived today from The English Stamp Company. 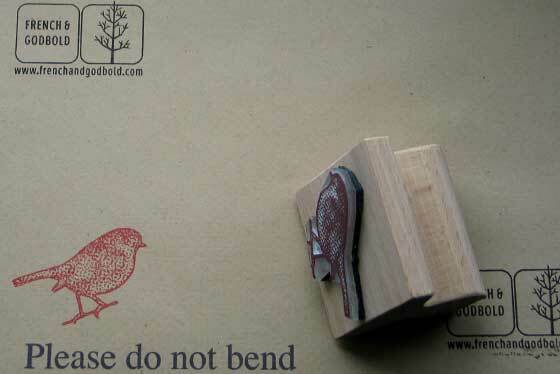 These stamps will adorn our parcels as they travel the world. We are very pleased with their functionality and their handsome good looks. Who doesn’t love a good stamp? We are also considering including a miniature sticker collection in our parcels as an additional treat. Our card development process continues and we currently have 38 of 39 designs ready for print, first run very soon. This entry was posted in French & Godbold and tagged packaging, postage, stamp. Bookmark the permalink.